Prophetess Beverly Slaughter-Jordan is the oldest daughter of Supt. J.W. Slaughter (deceased) the Pastor of the Greater Israelite C.O.G.I.C and Lydia Powell (deceased). She was baptized and filled with the Holy Ghost at the age of fourteen under her father’s leadership. 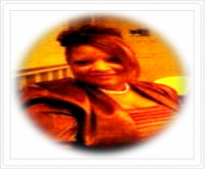 Prophetess Jordan accepted her call to Ministry August 1990 and received her license as an Evangelist Missionary with the Church of God in Christ June of 1995 under the leadership of the late Bishop L.B. Johnson California North East. Prophetess Jordan has a unique ability to “flow” under the Power of the Holy Ghost. This creates an atmosphere for miracles, deliverance, hope and encouragement in the lives of the people of God. Her love and compassion for hurting people is driven by her desire to see each individual healed and complete. She understands one must push past heartache, persecution and disappointment to fulfill the purpose and destiny God has set in every situation. Prophetess Jordan is unwavering in her faith not to let anything separate her from the love of Christ Jesus. 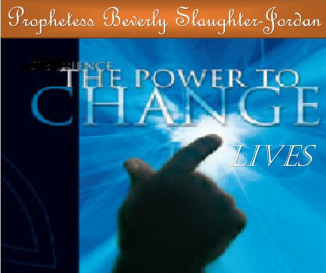 In 2006 the Spirit of God spoke to prophetess and said “I have anointed you with Power 2 Change Lives. God’s charge revolutionized her purpose and has propelled her to the destiny God has called her to. Apostle Jordan hearing the voice of God obeyed and consecrated her from Evangelist to Prophetess September 2009. God has always used Prophetess Jordan in the prophetic through dreams and visions since the age of 9 however, in this season of her live God has increased his prophetic anointing, power and healing. God is truly moving though this Woman of God with clarity and accurate insight. God has empowered this great Woman of God with the Word of life. Prophetess Jordan is the wife of Apostle Isaiah Jordan Sr. Presiding Bishop of Kingdom Ministries International Fellowship Ministries. She is the mother of one daughter Lydia (Danielle) Gordon and I am the proud grandmother of 4 beautiful granddaughters Makayla, Derrianna, Meagan and London.